Since I turned into a vegetarian back in the summer of 2009, when I was 17-years-old, I didn’t know how to make food at all! I only ate ready-made meals which you just put in the microwave... I lost weight after eating that for so long. But then I learned how to make food and I’ve gotten better and better at it all the time (or so people say). I’m no chef but I can make food when needed – except carnivore food. 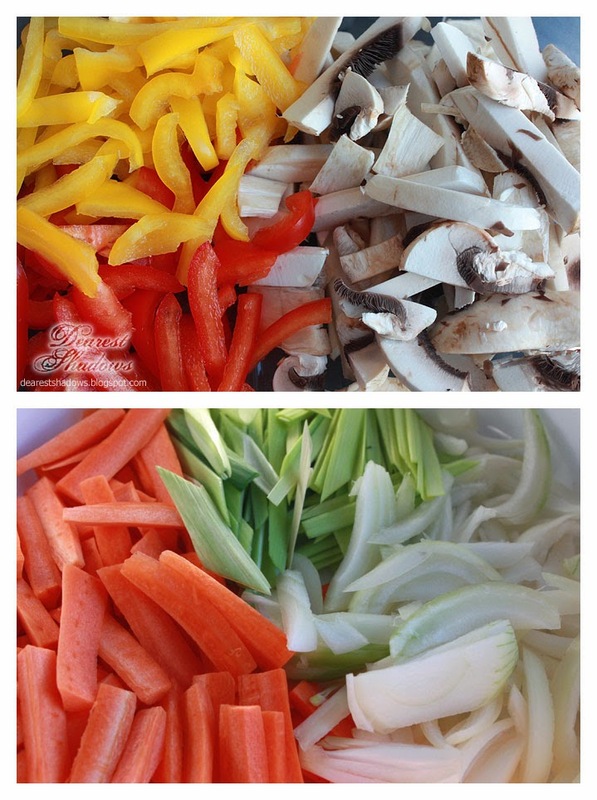 There was a time when I used frozen vegetables (what a shame!) but since then I’ve learned my lesson and now I use fresh vegetables only, only, only. And after leaving the meat out of my plate and learning to eat so much everything else but meat (and what I couldn’t ever imagine even taste before) I’ve never felt better! Turning to a vegetarian to lose weight was not my first priority back when I started though, even people thought I was doing it for just so I could lose weight – my priority was the animal rights! Of course I was more than happy to notice the significant impact of vegetarianism on my weight but my reasons were purely ethical. Year after turning vegetarian, I turned vegan but about three years later I turned vegetarian again, but I don’t use eggs and only eat cheese sometimes, which is really all I’m using. I don’t use leather at all, or pearls, or silk, or fur, etc. I eat vitamins because I can’t consume everything I need because I don’t eat meat at all. I had eaten B12 vitamin for a long time for I had read that it’s what vegans and vegetarians need. But when I last time had a blood test, it showed that the B12 vitamin levels were high so the doctor said that I don’t need to take it. So I left that off, but it was nice to notice that at least some of my vitamins were normal even I don’t eat meat – who needs meat anyway? Sometimes I’m very worried do I get everything from my diet, when I’m not using even eggs and I still don’t eat meat at all – not white, not red and no, not even fish. And fish contains Omega-3 fatty acids which body and brains need to function normally. 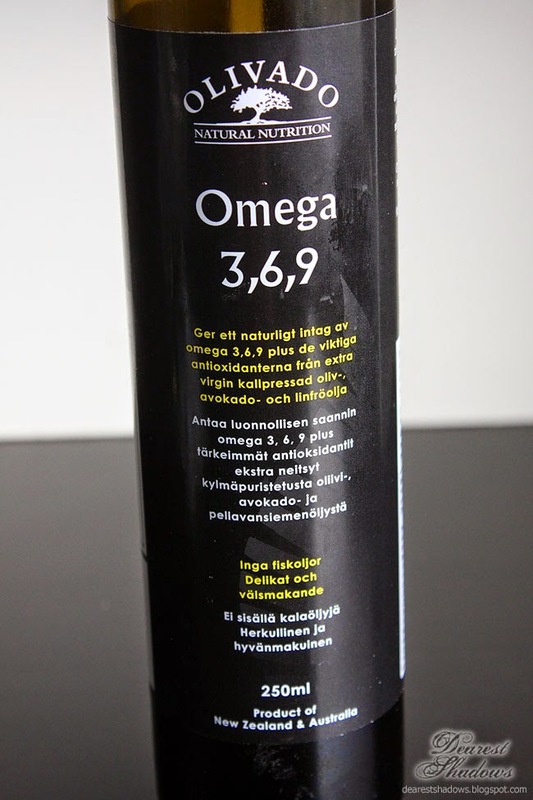 But, some time ago I found an olive-avocado-flaxseed seed oil with Omega-3, Omega-6 and Omega-9 and without coming from an animal – fish in this case. That was great! I’ve been trying to use it whenever I can (usually baking savory pastries such as a pizza dough) but it still has its own flavor which does not suit in every dish I make but suits great for salads... The (vegan) margarine I have used for years contains Omega-3 & 6 and I sometimes use it when preparing food and more often when I bake. I use margarine because it tops butter when it comes to heart health (just Google it). Butter is loaded with saturated fat, which can raise your cholesterol and it can also increase your chance of heart disease. People keep saying that margarines contain trans fat – but, in general, the more solid the margarine, the more trans fat it contains. The margarine I’m using is always soft, and it’s never hard like butter. I’ve been trying to find out more information about low-carb diet and Atkins Diet when you’re a vegan – the information seems rather hard to find. But I will continue searching. My goal is to have low-carb days and then normal days when I can eat a little bit of bread, pasta, potatoes, etc. I’m now reading the labels even closely at grocery stores, because I want to know how much everything the product contains. I want to know what I’m eating! I don’t want to go over the top about eating something, or not eating something but I want to stay as healthy as possible and eating is just one way to help me reach that goal!